So when I was asked if I wanted to test the latest in eye care creams, a solution for the problem of dark circles. I replied YES PLEASE I NEED HELP! 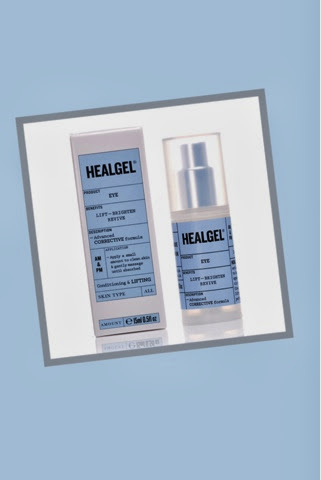 Like HealGel Intensive, HealGel Eye contains Arnica and Madecassoside which are suspended in liposomes with powerful peptides and biodynes to initiate a uniquely soothing and collagen boosting process. Sluggish micro-circulation is stimulated and irritation is soothed. In addition, HealGel Eye contains a duel action hyaluronic acid complex that locks moisture deeper into the skin and firms the eye contours. The effect is to soften the appearance of fine lines, even skin tone and improve the elasticity of the skin through intense hydration. Light diffusers in the gel further improves sallow areas for a brightening and smoothing effect. I love the packaging it looks very convincing and I think the RRP £32 is comparable with lots of the department store eye potions available. The serum itself is smooth, not sticky and absorbs quickly, there's an instant tingle and skin feels smoother afterwards. It was lovely under my makeup (on the random occasions I managed to wear any) and actually helped my concealer stay in place I think. 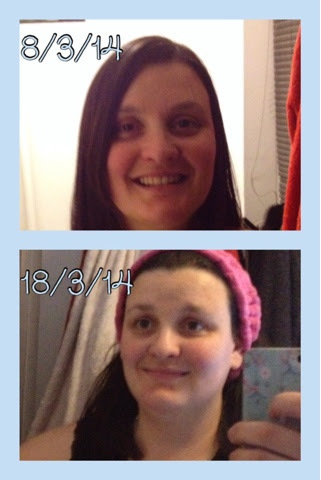 So this is the improvement in 10 days, I'm not sure I would say it was a miracle solution, it is working against the odds here, but I do believe there is a difference and if that's in only 10 days I'm looking forward to the improvement in a month or so. Now I'm a cheapskate and normally am an advocate of budget brands but I have bemoaned my dark circles for a long time. I understand that genetics plays a large part and without surgery, which I would never consider, I will never be truly circle free. But I have really taken to this product and think I will continue to use it after I have finished this bottle, even at the higher end of My budget I think I've fallen a little in love and now don't wish to be without! Fortunately though you need such a small amount that this bottle should last me months! If you would like to know more you can visit the website, or follow them on Facebook and Twitter, and at the moment you get £5 of a £50 spend with code MUM. I've been using this for a while now and I love it....I'm dreading the day it runs out.